Trump also threatened to yank the clearances of eight former officials and a current one, mostly top intelligence and law enforcement officials from the Obama and previous administrations. Trump denounced Brennan's criticism and spoke anxiously of "the risks posed by his erratic conduct and behavior. The president described his own action as fulfilling his "constitutional responsibility to protect the nation's classified information." However, Democratic congressmen said it smacked of an "enemies list" among fellow Americans and the behavior of leaders in "dictatorships, not democracies." 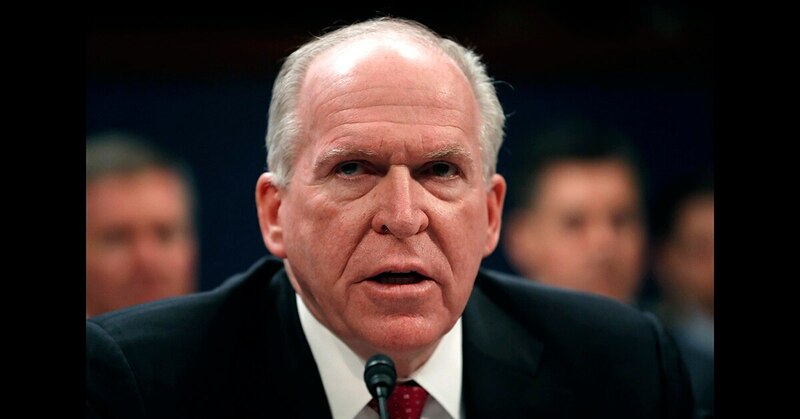 Brennan tweeted: "My principles are worth far more than clearances. I will not relent." Trump's action, critics and nonpartisan experts said, marked an unprecedented politicization of the federal government's security clearance process. It also was a clear escalation in Trump's battle with members of the U.S. intelligence community he inherited and has attempted to reorient since he took office. And it came in the middle of the president's latest controversy — accusations of racism by former assistant Omarosa Manigault Newman and his bitter reaction to them. Trump's statement, distributed to reporters, was dated July 26, 2018, suggesting it could have been held and then released when needed to change a damaging subject. "Mr. Brennan's lying and recent conduct characterized by increasingly frenzied commentary is wholly inconsistent with access to the nations' most closely held secrets," the statement said. He said of Trump's order on Wednesday, "This action is part of a broader effort by Mr. Trump to suppress freedom of speech & punish critics. It should gravely worry all Americans, including intelligence professionals, about the cost of speaking out." Brennan said he learned of Trump's action only when the White House announced it. Former intelligence officials are wondering how far Trump will go, according to a former senior intelligence official who spoke on condition of anonymity to share private conversations he's had with people who have worked in the field. They said Trump has moved from threatening to revoke security clearances of former intelligence officials who have not been involved in the Russia investigation to former officials who did work on the probe. Can my social media posts hurt my security clearance? Q. Can my security clearance be revoked or denied because of what I post on social media? 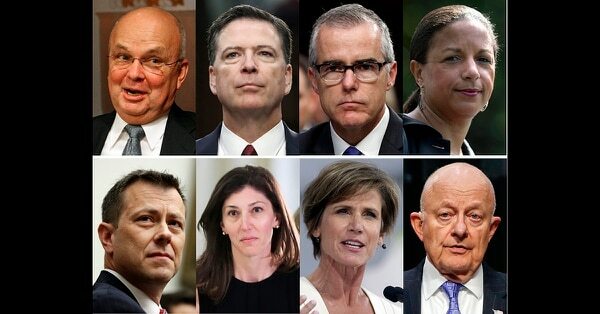 They include former FBI Director James Comey; James Clapper, the former director of national intelligence; former CIA Director Michael Hayden; former national security adviser Susan Rice and Andrew McCabe, who served as Trump’s deputy FBI director until he was fired in March. Also on the list: fired FBI agent Peter Strzok, former FBI lawyer Lisa Page and senior Justice Department official Bruce Ohr, whom the president has tweeted about recently. Ohr is the only current government employee on the list. The office of the Director of National Intelligence Dan Coats declined to comment on Trump's decision to revoke Brennan's security clearance. The CIA referred questions to the White House. Clapper, reacting on CNN, said he didn't plan to stop speaking out when asked about the Trump administration. "If they're saying that the only way I can speak is to be in an adulation mode of this president. I'm sorry, I don't think I can sign up to that," Clapper said, adding: "This is at least in my memory unprecedented." Asked what linked those threatened by the White House, Clapper said he and the others have been outspoken about the Trump administration, have "directly run afoul of it" or have taken actions the president dislikes. 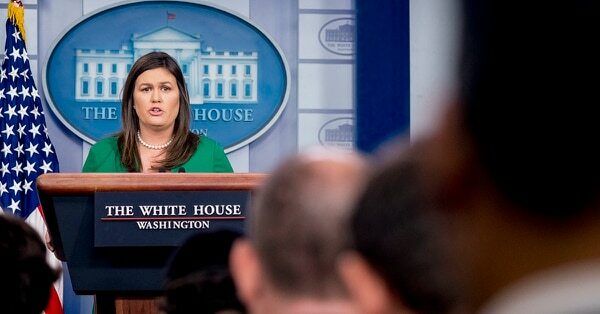 Sarah Huckabee Sanders, Trump’s press secretary, insisted the White House wasn’t targeting only Trump critics. Critics slammed Trump's action as an abuse of presidential power. California Rep. Adam Schiff, the ranking Democrat on the House intelligence committee who also has been a frequent critic of Trump, tweeted that, "In adding John Brennan to his enemies list, Trump demonstrates again how deeply insecure and vindictive he is — two character flaws dangerous in any president." "An enemies list is ugly, undemocratic and un-American. I also believe this action to silence a critic is unlawful," he said. Maryland Democratic Sen. Chris Van Hollen tweeted: "Trump is now categorizing dissent and free speech as 'erratic behavior.'" He added that, "Leaders behave like this in dictatorships, not democracies."